It is the best time to make some plans for the longer term and it's time to be happy. I have read this publish and if I may I desire to counsel you some fascinating issues or tips. Perhaps you can write subsequent articles referring to this article. I want to learn more things approximately it! The 50th anniversary Corvette, what a milestone! Power is 261kw/350hp/355PS! Torque is 509 Nm. 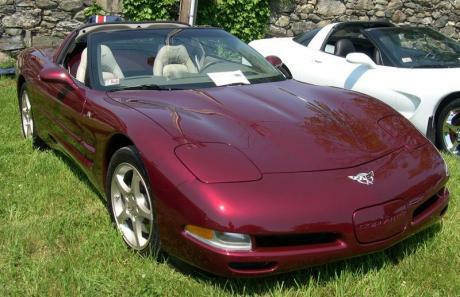 Year of introduction is 2003 (because the first Corvette was introduced in 1953). @ Haggis : you are absolutely right , 350 bhp is correct . The special thing about this car is that it's a relatively cheap and very quick sportscar. The biggest advantage it has over the normal C5 models is the F55 Magnetic Ride Control, a suspension upgrade introduced for the 50th anniversary model. This car has run the Nordschleife at an impressive 8:18 and that's not bad at all for a stock C5 Coupe with only a suspension upgrade. Also, I believe the 0-100 times mentioned here are a bit conservative. 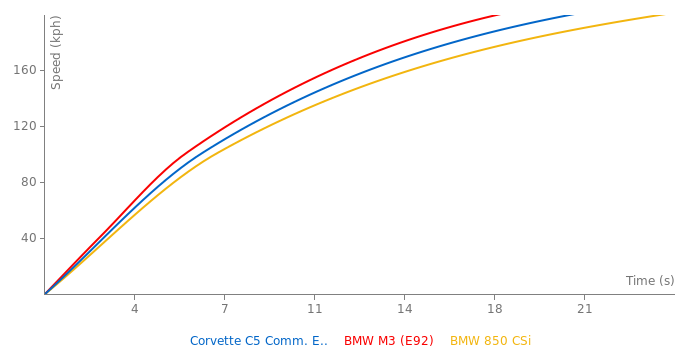 C5 Vettes can hit 0-100 in about 4.7 seconds and 0-200 in 16.5. Also, this particular model has 350BHP, not the 344BHP of the 97-99 years. The horsepower and torque figures are incorrect. 2001-2004 C5 Corvettes have 350 hp and 375 lb/ft of torque. C5s are nice sports cars, but without the optional Z51 suspension they are a bit too soft for competition driving. The interior has nice features, but the leather is thin and the dash is a sea of plastic. Excellent fuel economy for such a fast car (good aerodynamics and the six speed Tremec transmision has a very tall sixth gear). i believe this is the 50th anniversaty edition. nad whats so special bout thos is that it has 5 more bhp..lol than a reg c5 350 from 345 and it has 25 lb ft more torque 375 from 350 and it has half inch bigger lauder exhaust and c5 zo6 suspension and new paint. whats so special about this particular edition?